Ocean County Freeholder Joseph Vicari will serve as the board’s director in 2017, keeping with tradition that a freeholder whose seat is up for re-election leads the county’s governing body. 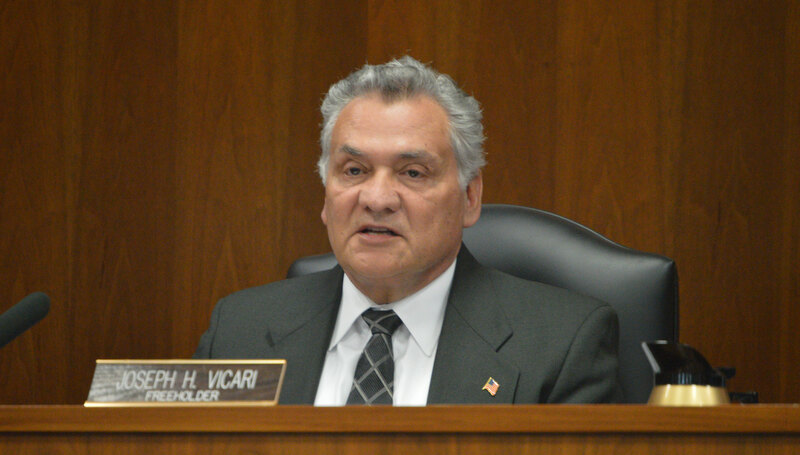 Vicari, who has served as freeholder since 1981, said the primary focus of the freeholder board next year will be keeping spending to a minimum and tackling the county’s opiate addiction crisis. “I will work to keep affordability for our middle class and senior residents by maintaining a stable tax rate and protecting our triple-A bond rating,” Vicari said. A longtime advocate for senior services in the county, Vicari said another priority is protecting Medicare and Social Security from measures that could make life more difficult for the county’s 162,019 senior citizens and over 68,000 veterans. Vicari also said he intents to expand the Buy in Ocean County program, which encourages shopping within local communities, to focus on small businesses and encourage year-round shopping in coastal municipalities. The freeholder board as a whole intends to continue focusing on the rehabilitation of the Route 9 corridor and its potential expansion into a four-lane roadway. The project requires state funding, officials have said, and the state has been reticent to dedicate the funds to the project. Vicari said he plans to “fight for moneys generated through the newly passed gas tax to be used to upgrade infrastructures in our county,” including the possibility of passenger rail service.